Avanru Development Group Ltd. "Building for a better future....."
Welcome to Avanru Development Group, where through innovative design, cutting edge technology and collective effort, we're "Building for a better future....."
We strive to provide the most cost efficient, community based approach to all commercial and residential developments we are a part of, ensuring a healthy and sustainable ecosystem for everyone involved. Our 10x theory of thinking has allowed ADG to become an industry leader by working outside the box of conventional application and wisdom. We approach each development opportunity with technology based ideas we've developed, instead of the traditional construction and design standards that are widely used today. 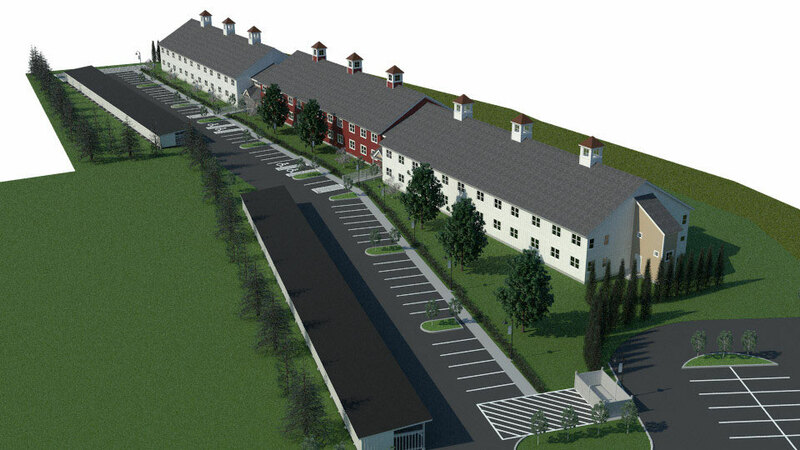 When designing and developing senior, workforce or market rate multi-family housing, we can do it "better, faster and cheaper" than anyone else, while producing a superior finished result. We've spent years developing our team and process to ensure the best possible results, at a fraction of the time and cost. Avanru Development Group Ltd. is poised to expand development operations throughout New England in 2019. With a focus on Commercial and Residential development, we will be adding several key members to our management team. If you are interested in ADG helping you with developing land you own or want to be part of our team, feel free to contact us. Abenaki Springs Aerial Artist's Rendering of (3) completed phases - Click on Photo to Enlarge.